ARCAM - Amsterdam Centre for Architecture was made so that the general public can be involved in the whole architecture scene of Amsterdam. The center was established in 1986 and has gained tremendous amount of fame since then because of its great architecturally rich literature. 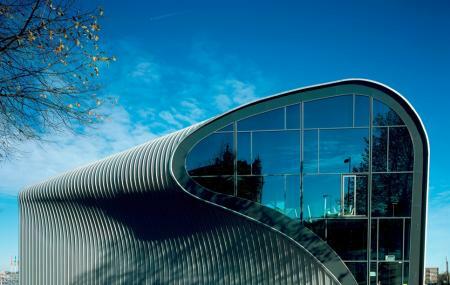 ARCAM every year has five exhibitions that are all related to the architecture of the city. You may also find small exhibitions telling the story of Old and new architecture. The place may also be closed for break between shows. ARCAM information point and its library remain open. Take a bus from Amsterdam, Kadijksplein or Amsterdam, Kattenburgerplein. People normally club together Verzetsmuseum and Van Gogh Museum while planning their visit to Arcam. One of the coolest places to visit to get an understanding of how the city of Amsterdam grew over time and get maps and info. On the great architecture found throughout the city. One of many great places to visit. Very unique small architecture pavilion with great views of the waterways. The place has rotating architecture exhibits and serves as an information center for tours and notable sites. Friendly staff and enjoyable visit.